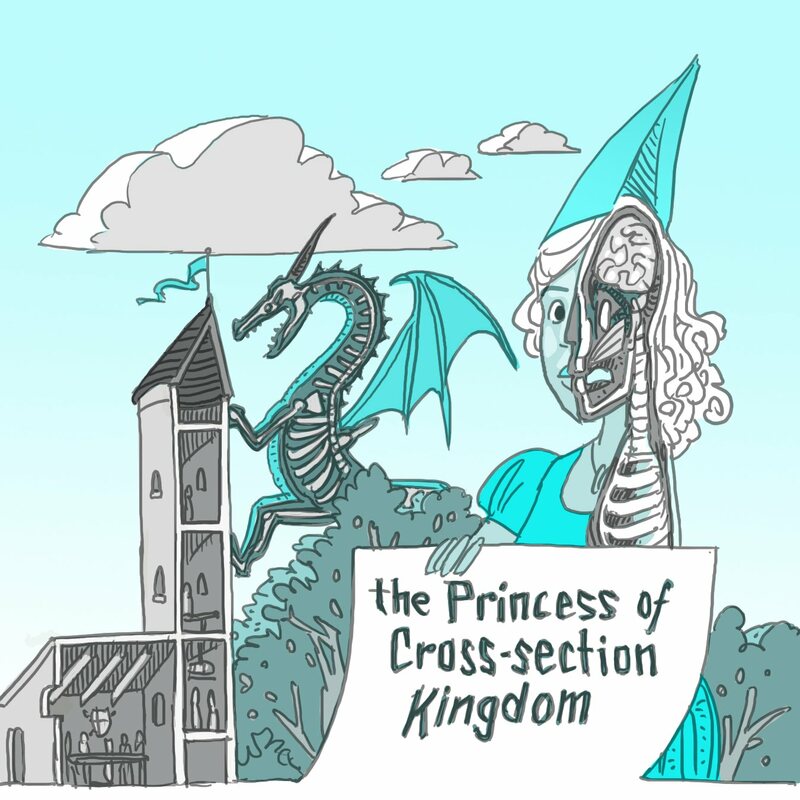 Will the half-a-princess save her half-a-kingdom from the half-a-dragon? Whatever happens, we'll see all the inner workings of this fairy tale. Careful readers will notice that I skipped President's Day. That was my second, and last, free day. I'm all out of free days now. It's a sprint to the finish! My brother had a book when we were kids called 'Stephen Biesty's Incredible Cross-sections'. It was amazing. I remember we were always especially entertained by trying to find the toilets, be they in a space station, a medieval castle or a jumbo jet. There's something really cool about how things work and what's going on inside stuff. Definitely a winner. On the cover I especially love the cross-sectioned clouds. I can see some really clever endpages to this one with the story / book itself cut open and annotated. This is horrific, terrific. Reminds me of the Santa-claus series. Another winner for boys. Cool and disturbing. I like it and I love your attention to detail, even down to the clouds. You've got the best imagination! A little freaky but cool.